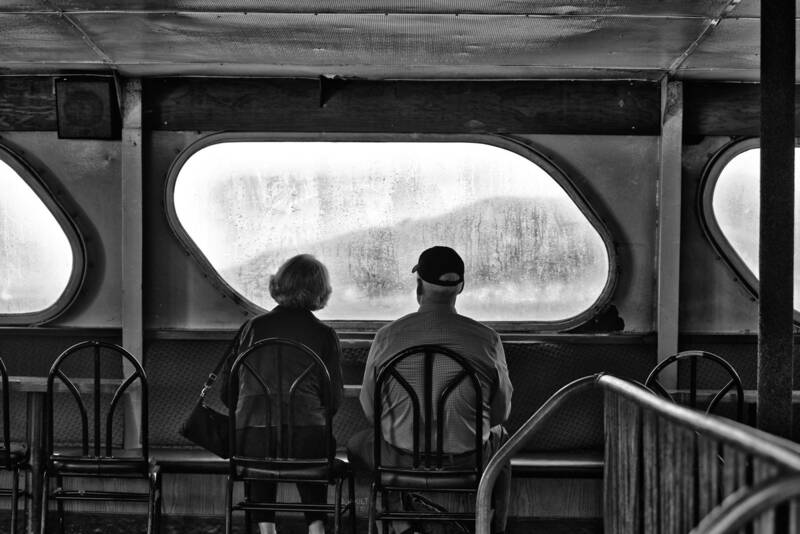 ommuting on Bay Area ferries might not be quite the perfect experience it used to be. Mostly because, like other ways of getting to and from work in this booming region, you're going to find bigger crowds than ever. But if you look up from your iPhone or laptop once the boat's left the dock, you'll find yourself in direct contact with the always unfolding drama of San Francisco Bay -- the changing light, surging water and expansive vistas of bridges, skylines, shipping and, yes, even nature. The people who experience this drama more often and more intimately than anyone else are those who work on the boats. To give the rest of us a glimpse of their world and how they see it, one group of workers is putting on a photo exhibition opening Friday at San Francisco's Pier 1. The "Blue Collar Green Water" show features juried work from deckhands, guest service reps, bartenders, captains and others who work for the Blue & Gold Fleet. That's the company that operates the San Francisco Bay Ferry service under contract with the Water Emergency Transportation Authority. It's also known for its tourist cruises from San Francisco's Pier 41. Rebecca Johnson, an Oakland native who's been a deckhand on the bay for 20 years, is the moving spirit behind "Blue Collar Green Water." The idea was inspired by the pictures she saw other ferry workers taking every day on the job. 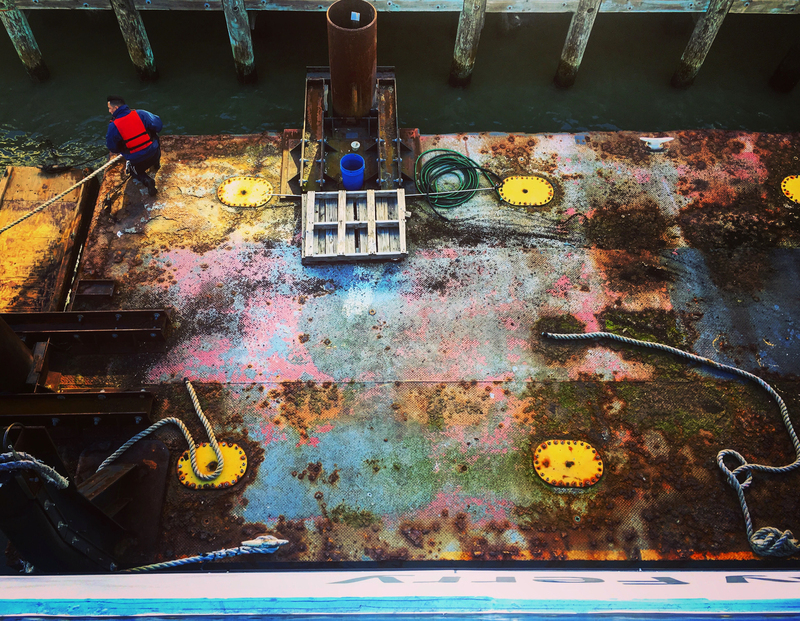 "Working on the bay, you see it so many different ways," she says. "You see it cold and foggy, you see it sunny and bright. And so I thought, why not find a way to share these photos with each other and with the people who don’t know what our jobs are." When she suggested a group photo project to her fellow workers a couple of years ago, she found lots of excitement. Out of that, a collective was formed to invite submissions from Blue & Gold crew members, design a website and produce a promotional video. A panel that included local professional photographers was created to judge the submissions for the exhibit. Someone else really liked the "Blue Collar Green Water" idea, too: company management. Johnson brought her plan for a photo exhibition to Carolyn Horgan, then Blue & Gold's president. The project allowed workers from the fleet's different units and unions to work together on something. The proposed show also fits in with a company goal. "The thing that really appealed to me about it is that Blue & Gold was working hard on employee engagement," Horgan says. "And this would be the ultimate of employee engagement." But there was more to it than that. Horgan, who is now retired, says the pictures in the show highlight the skill and grace involved in operating a fleet that carries millions of passengers each year. "It's just people doing something -- tasks that I saw a lot, but other people maybe are not as familiar with, even tying up a boat," Horgan says. There's a beauty in something as simple as a deckhand "taking a line and putting it around a cleat." Johnson says the show has another point, too. At a time when unions and recognition of the importance of blue-collar work have become topics of national conversation, the exhibit showcases the humanity and pride of those who labor on the bay. "I would love for people to just know that the workers on these ferries -- they’re union workers, and they’re getting wages that allow them to live in the Bay Area," Johnson says. "And why not? It should be this way." “Blue Collar Green Water” will be on display at Pier 1 on San Francisco's Embarcadero, next to the Ferry Building, through May 31.